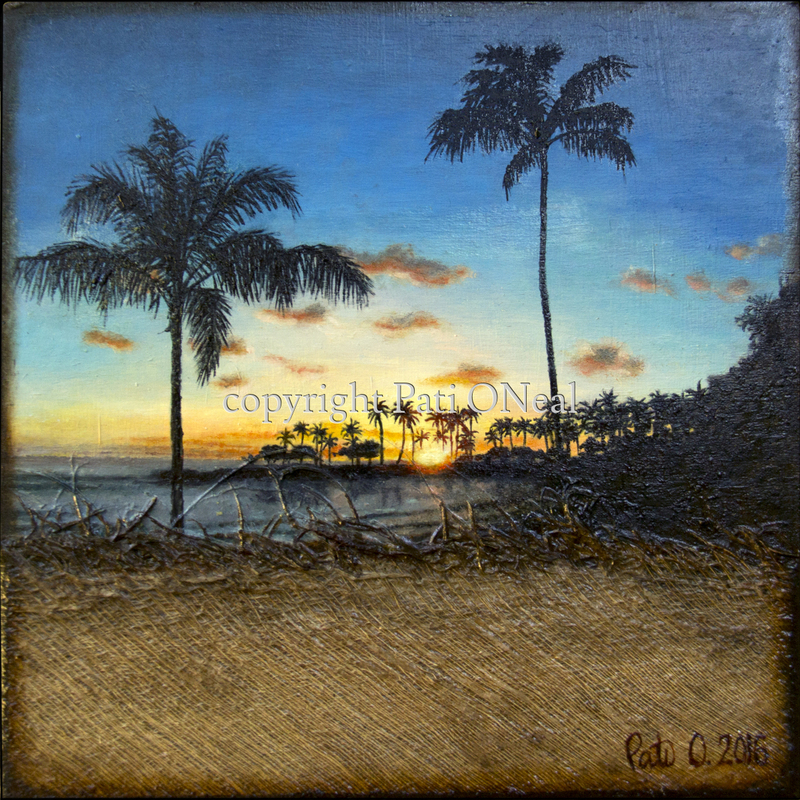 An oil painting of a classic sunset at the lagoon fronting Disney's Aulani Resort, surrounded by silhouetted palms. Complimenting the painting is actual coconut tree fiber from the base of the fronds. This original is sold, contact the artist for a similar commission.